Low water flow, high temperatures and dry conditions continue to affect fisheries across Northwest Colorado this summer. 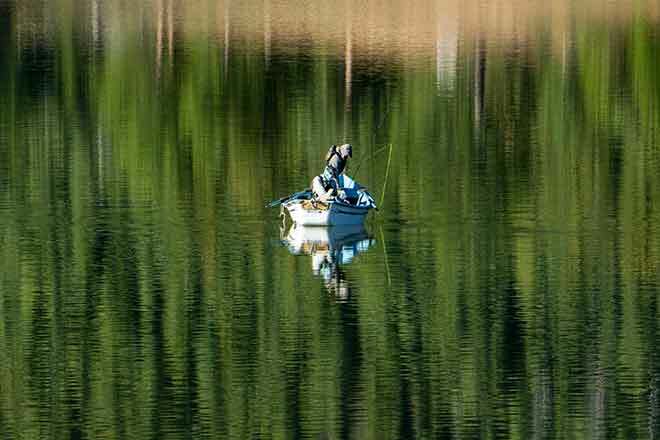 In the past two months, Colorado Parks and Wildlife has initiated several voluntary fishing closures across the northwest region to ease pressure on fish stressed by the heat and dry conditions. The agency is adding sections of the Fraser and Colorado Rivers in Grand County to the list. In addition, a voluntary fishing closure is now in effect on the north and south forks through the main stem of the White River in Rio Blanco County. "It's been tough for cold water fish so far this year, and we are very concerned," said Northwest Region Senior Aquatic Biologist Lori Martin. "Voluntary fishing closures and compliance from our anglers are very helpful but unless Mother Nature cooperates very soon, some of the region's most popular fisheries could be in substantial trouble." CPW says while anglers will not receive citations if they choose to fish in areas under voluntary closure, the agency is asking for the public's cooperation to help protect fish. When water flows are minimal, agency biologists say fish will gather in residual pools. Combined with high temperatures, fish become stressed due to low oxygen levels and increased competition for food. Under these conditions - primarily affecting coldwater species - fish become much easier targets for anglers, an added stressor that can result in increased mortality due to being hooked. "Trout have adapted to thrive in water temperatures between 50 and 60 degrees," said Area Aquatic Biologist Jon Ewert. "Once the temps exceed 70 degrees, they become extremely stressed. In some areas, we have recently recorded temps at or above 75 degrees. That's not a good situation at all." For much of this summer, Ewert says water in the Fraser River at Tabernash has run below the 25 percentile of historic flow and exceeded 70 degrees multiple times in July. In the town of Granby, the Fraser River has exceeded 70 degrees almost daily during the second half of July. July 14, temperatures reached 75 degrees, considered extremely high for this stretch. The Colorado River downstream of Windy Gap has climbed to 70 degrees numerous times this month and moved approximately at the 25 percentile of historic flow. Ewert says recent reservoir releases from Williams Fork, Wolford, and Green Mountain reservoir's have helped cool the water downstream of Parshall. On the main stem of the White River, area officials have observed several stretches exceeding 70 degrees most days in July and river flow is moving below the 25 percentile of historic average. "We've discussed the issue with the local public, and thankfully, we have seen great cooperation from everyone," said Area Aquatic Biologist Tory Eyre. "People understand how important the White River's fish resource is, not only for its great outdoor recreation but also for the benefits it provides to the local economy." 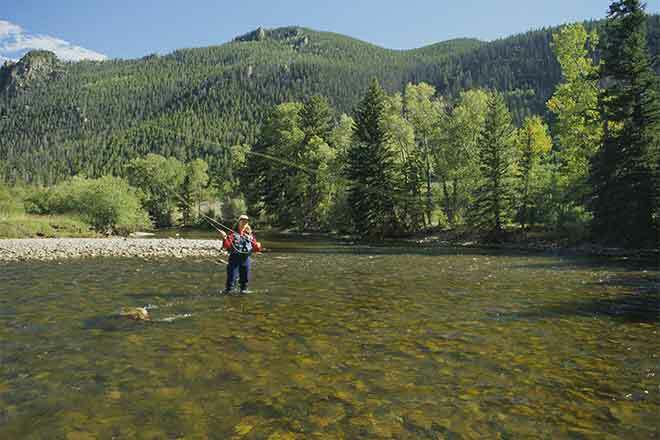 Colorado's world-class fishing attracts thousands of anglers each year, providing a source of income to businesses that depend on outdoor recreation. Wildlife officials warn when a fish population is significantly affected by unfavorable environmental conditions, it could take several years for it to fully recover. If that happens, local businesses that depend on the state's fisheries for their livelihoods may experience long-term negative economic effects. "We hope to have continued cooperation from the angling public," said Martin. "Most people that benefit from this natural resource want to do what they can to conserve it." Martin recommends fishing at higher altitude or fishing early when it's cooler. Anglers should consider using barbless hooks, land fish quickly and release them quickly. Wet your hands before handling and let them go immediately, preferably without removing them from the water.